Google has launched a new initiative to help reduce annoying advertisements online, by telling websites if they serve ads that people tend to find annoying. Under the new scheme, those websites can then visit their Ad Experience Report for more info and screenshots of the advertisements in question. According to a recent blog post by Scott Spencer, Director of Product Management for Sustainable Ads, websites with ad issues will be notified in the coming weeks. Those that have been tagged can check the Ad Experience report for more information about the problem. 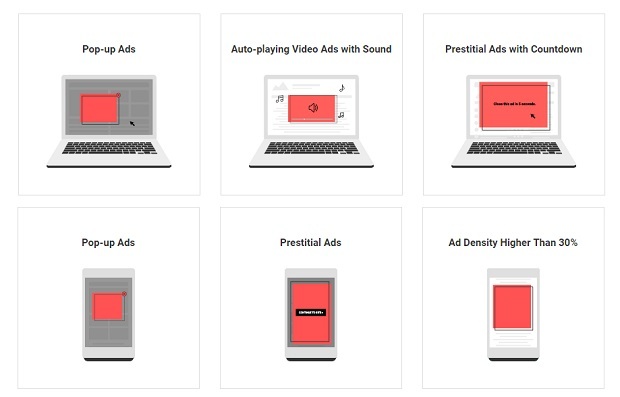 The move comes after the Coalition for Better Ads found that 69% of ad-blocker software users were found to be motivated by intrusive ads. It also found that pop-ups are the most annoying advertisements found on publishers’ websites. 50% of the research respondents expressed that they would not recommend nor revisit a page that contains such ads. Furthermore, the issues were not found on mainstream publishers, like newspapers or business publications. Instead, they come from smaller websites that do not have similar quality control resources as the larger ones. Such websites also rely heavily on ads to bring in revenue. Read the blog post entitled ‘Helping publishers bust annoying ads’ here.